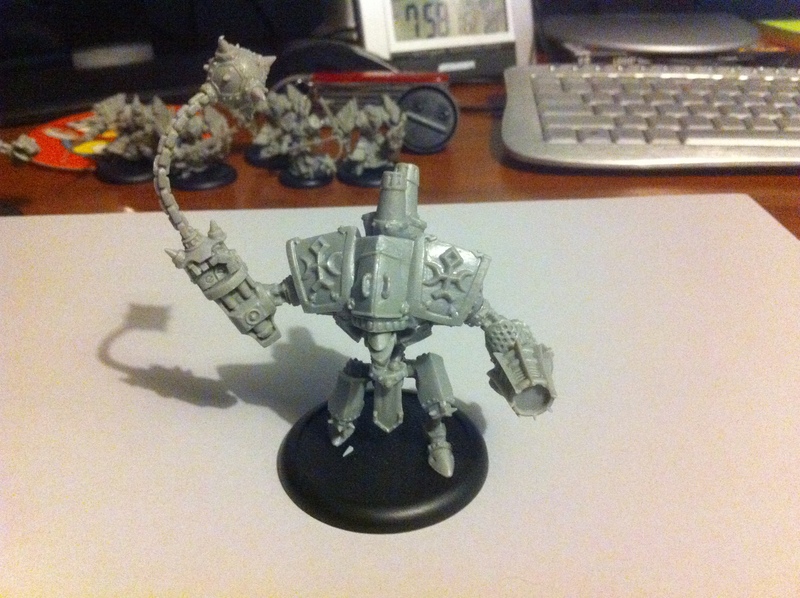 My introduction to Warmachine has not been as smooth as I might have liked. For one thing, I’ve come to the realisation that I’m not very keen on either of the factions represented in my starter box. This was a bit of a blow, though not a fatal one. 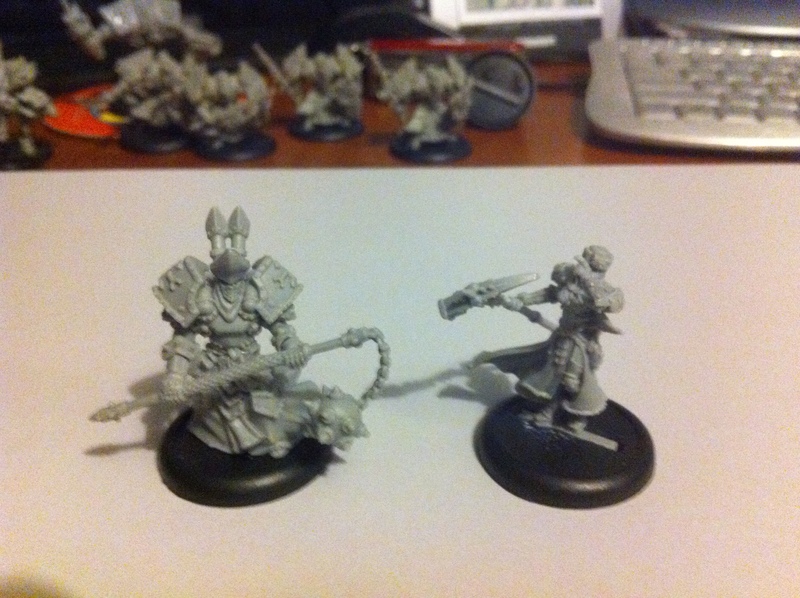 I had always more or less planned to eBay the Menoth figures, now I will just do the same with the Khador ones. Hopefully I will recoup a fair share of my outlay and I will still have the rule book for future use. 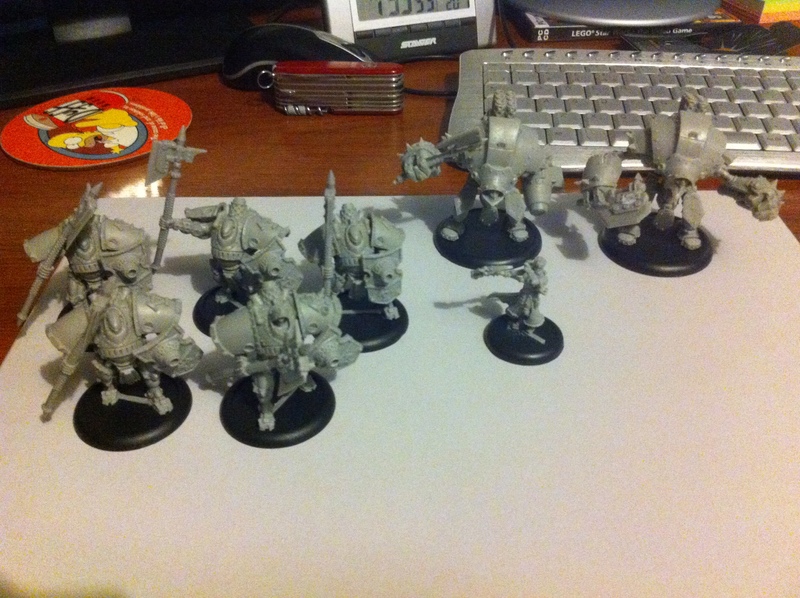 The other problem though is that I’m not really sure what, if any, Warmachine faction I do want to try. At the moment the front runners are Cyngar and Mercenaries, but even then there are bits of each range I’m not that keen on. Not that I would cast aspersions on the quality of the ranges, but there is no one range that grabs me. With Khador, it was the warcasters that put me off. With Cygnar it’s the warjacks (except the Cyclone, which is awesome). I experienced similar difficulties with Warhammer Fantasy, as there was never any one army that made we want to do them in the way 40k armies did. The fact is, with a baby due within a month and the short-to-medium term financial tightening that will ensue, this is not the time for embarking on any hobby project I’m not at least reasonably sure about. So for the time being, Warmachine might get shelved and will concentrate my much more limited resources on Firestorm Armada and Dystopian Wars. 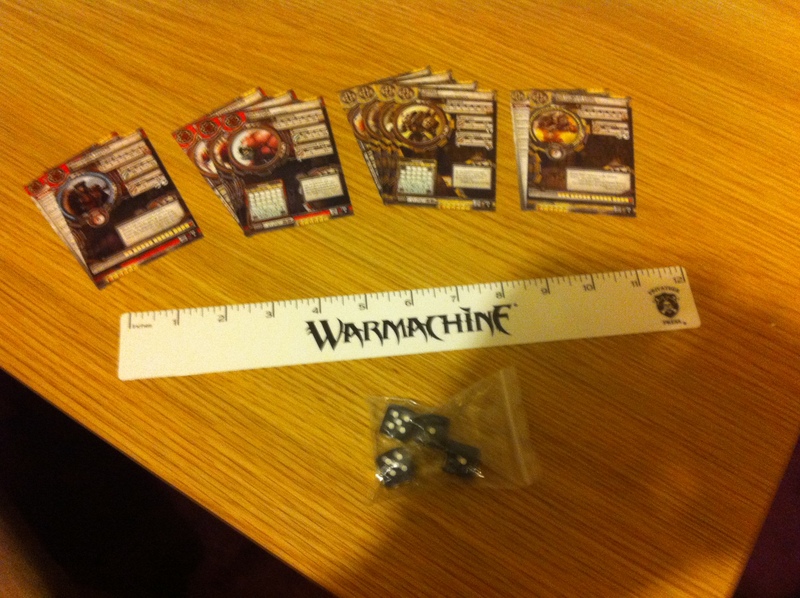 This is not to say that I will never do anything with Warmachine. It’s a good game set in an interesting universe and it scores points with me for not needing too many models in order to play. What I’ve read of the rules so far (when not distracted by Twitter or my book club book) seem to be well written and I know that there is a huge player base out there to tap into when the time comes. Almost any gamer will admit how easy it is to get distracted by the shiny and the new. There are all sorts of intriguing possibilities out there. Warmachine, Dust Tactics and MERCS are all things that have tempted me recently, and I am certainly intrigued what Privateer Press’ ‘Level 7’ sci fi game will be like. GW even managed to cause a few moments of temptation with their new Necron release. Executed with their usual combination of very high quality and very high expense. But I have plenty of stuff to paint already, and I have still barely learned the rules to Firestorm Armada and Dystopian Wars. Perhaps this is a time to try and do a few things well rather than lots of things poorly. I still might come back to Warmachine. If I do, I think the most likely army I would do (based on current infomation) is the Searforge sub-list of the Mercenaries army. These dwarf mercenaries are amongst my favourite in the whole range and though it’s a very limited list it’s all of stuff I like. And It’s also all stuff I could use if I ever expanded my army into a Highborn Covenant army. 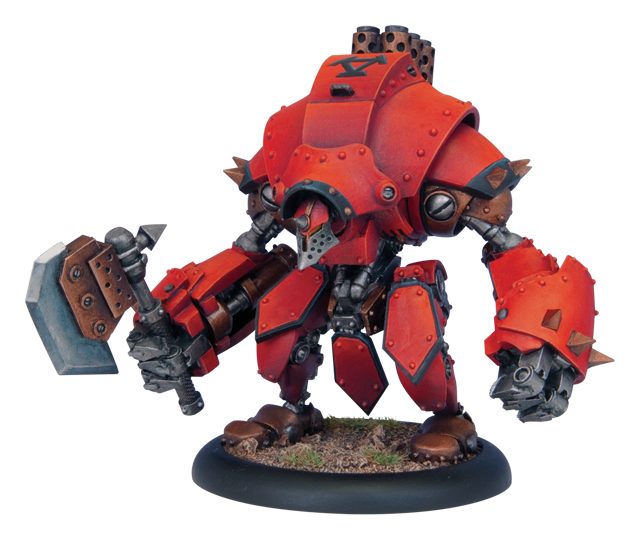 @docbungle has done a guest post at The Shell Case – a Warmachine Primer article. 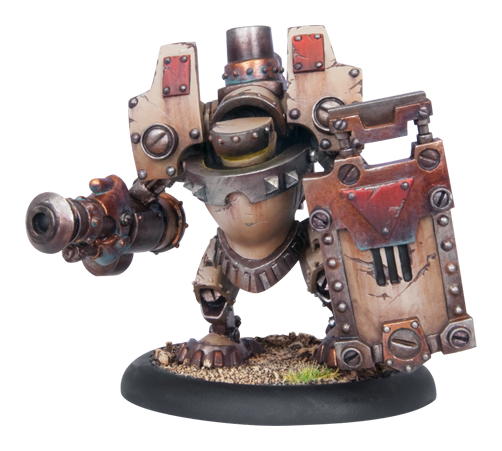 As regular readers of my geeky musings will know, I recently got interested in Warmachine by Privateer Press. Following my intro game (written about here) I ordered the Two Player Starter Box via the nice chaps at Firestorm Games. Following a one week delay to the release date. I finally received my box early last week. My Two Player Starter Box! 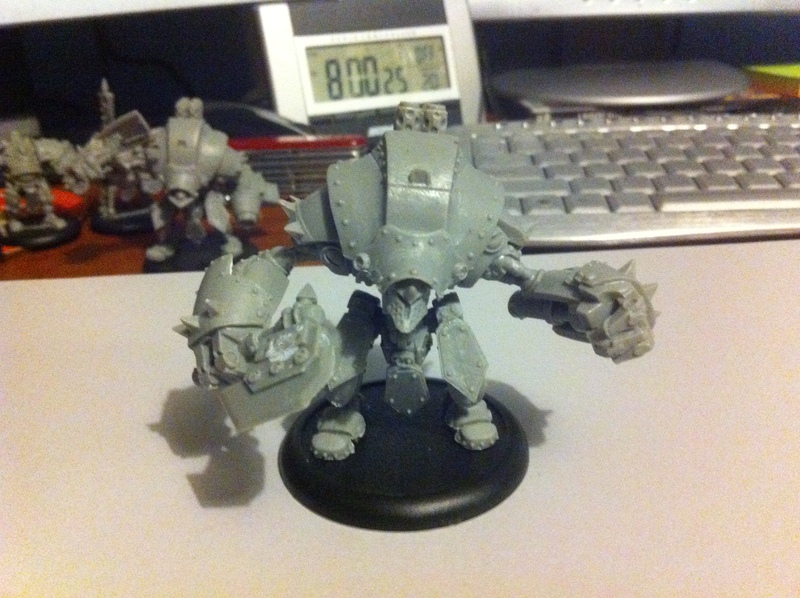 Although I’ve been looking at Warmachine stuff for a few months now, this is my first ever purchase. So this is very much a newcomer’s perspective. The first thing I noticed was how small the box was. It was perhaps a third of the size of the similarly priced Games Workshop starter sets. But I had certainly not been short changed. The box contains two small forces, for Khador and the Protectorate of Menoth, as well as a ‘travel sized’ rulebook, introduction guide, quick start rules, unit stat cards, a card ruler, and a mini-issue of No Quarter magazine. The only thing the box really lacks is a set of weapon effect templates. This is probably my biggest quibble about the contents as I know some of the models in the box have weapons that use the templates. 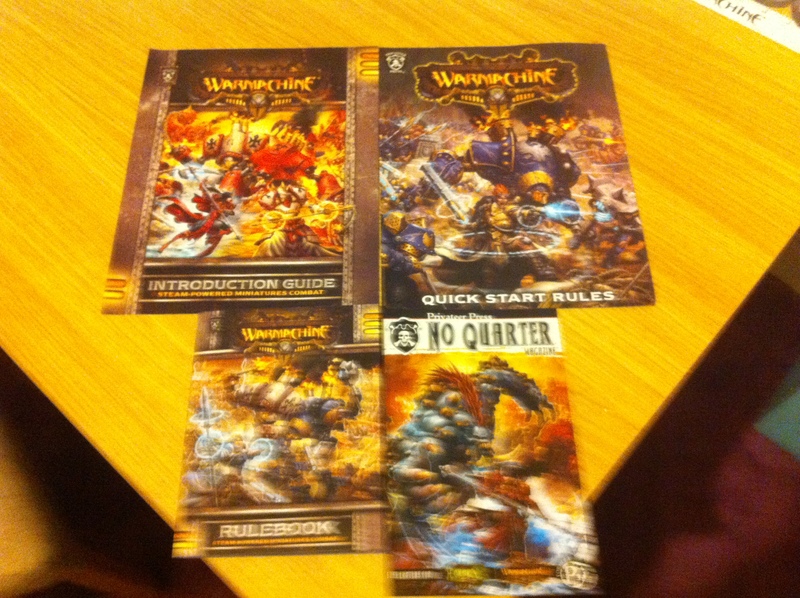 The mini-issue of No Quarter is a nice touch offering a bit more insight into the world of the Iron Kingdoms and including a brief Khador vs Trollbloods battle report. 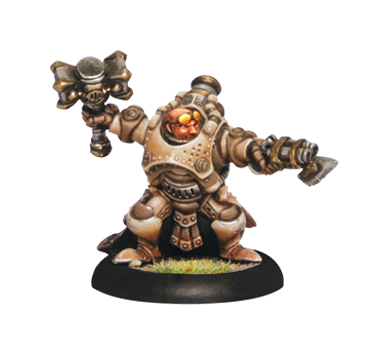 The introduction guide give a brief but useful overview of the Warmachine factions (and an even briefer rundown of the factions from Hordes) as well as a more detailed look at the factions in the box, including a look at the specific models included. 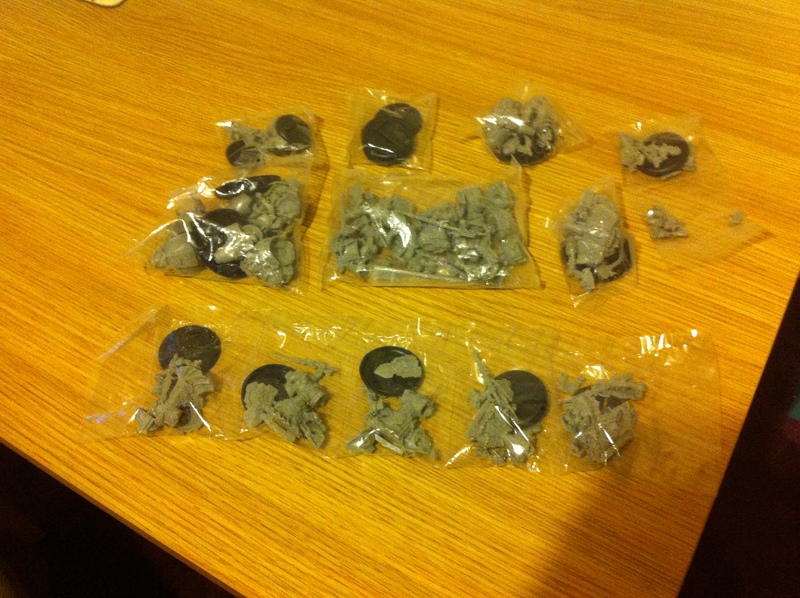 In total the box contains two warcasters, four heavy warjacks, one light warjack and ten heavy infantry models. Not a bad haul, especially one you realise The models are actually resin rather than plastic as I initially thought. Part of the reason the box was so small was that the miniatures don’t come on sprues the way those in GW starter boxes do. All the parts are clipped out and bagged up nicely into the respective sets so nothing gets lost. That said, a lot of the parts – most especially weapons like axes, maces and polearms – in my set were slightly warped. I’m not sure if this happened during casting or this was the result of loose parts being crammed into a box. Still a bit annoying however it happened. The biggest challenge with this box was assembling the models. Initially I had problems because I tried to use poly cement as I had not realised the models were actually resin rather than plastic – though in my own defence this is not really made clear anywhere. Even when I switched to superglue though it was slow, frustrating going. The time involved in having to hold pieces together while the superglue set was a a bit frustrating. It wasn’t helped by a lot of the joints between parts not fitting as well as I would have liked. I recommend to anyone assembling the contents of this box to have some podcasts lined up or to stick the extended cut of your favourite film on the DVD. Of course, the figures you get in this box are not specially designed for the starter box the way the miniatures in the Assault on Black Reach or Isle of Blood boxes are. So on one level it’s nice that you are getting the ‘real’ miniatures and will not have to worry about integrating starter models into an army. But the advantage of of the models in the GW sets is that you can clip them out and click them together in a relatively short amount of time and get on with playing your first game. There is going to be a significantly bigger lead in time needed to build these models. On the other hand, the miniatures in the starter box set do represent legitimate, table-ready armies (20 points for Khador, 21 for Menoth). 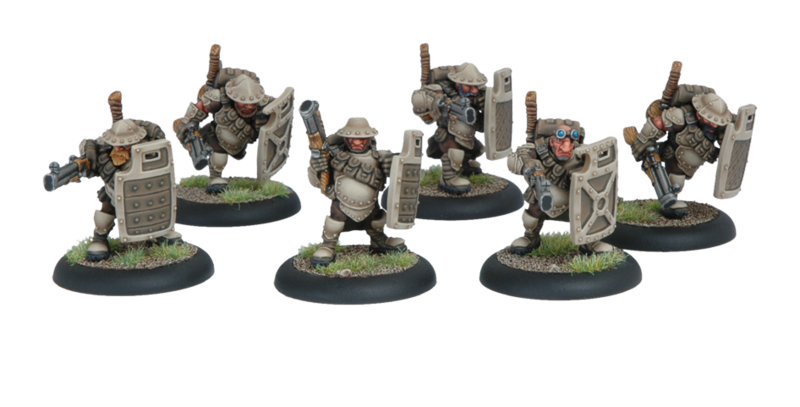 Given that 25 points is a very popular game size, players starting with the forces in this box only have to beg, steal or borrow four or five more points worth of models – for example a unit of six Khador Winter Guard Riflemen – to be playing games at a reasonable size. There certainly is not the same pressure to get out buying extra toys straight away. The fact that Warmachine requires a relatively small number of models somewhat mitigates the frustration involved in assembling them. Certainly I will never have to assemble that many multi-part resin models all at once ever again. Of the models in the box, my favourites are the Khador Man O War Shocktroopers. Nice chunky models with a decent amount of detail and relatively easy to assemble. 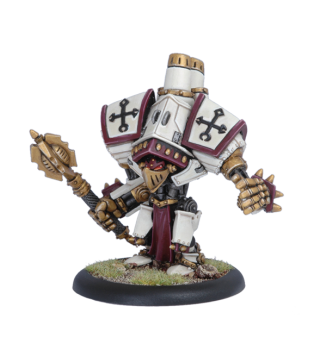 The hardest to build was probably the Repenter light warjack, but by least favourite overall are probably the Menoth Cinerator heavy infantry. Though that is just a matter of personal taste rather than anything inherently wrong with the models, though they are the least poseable of the models included. Whether this set is a good investment is a bit of a subjective question. If you are interested in collecting Khador and/or Menoth it’s a steal. Even if you only really want one of the factions you do quite well even before you factor in the possibility of selling or swapping the stuff you don’t want. Plus you can delay selling off the unwanted stuff until you have had a few practice games that will help you get your brain round the rules. You might even convert a friend to the game and sell your spare stuff to them. 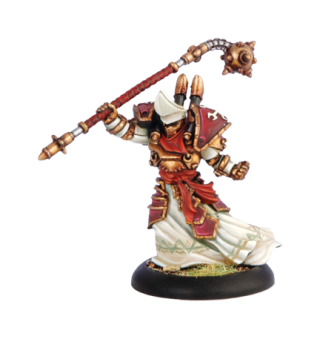 If you’re not interested in Menoth or Khador you might be better off steering clear of this set. The small rulebook is handy, but the standard Warmachine Mk II rulebook isn’t exactly huge (It’s maybe a quarter of the size of the Warhammer rulebook) so if you buy the paperback version it should prove fairly portable. Players starting with the standard rulebook and a battle box might not get quite as good a deal. But there’s no point getting a good deal on something you don’t really want. Overall, I’m fairly happy with the contents of the box, though I feel slightly disappointed by the number of warped models in my copy. I was also extremely frustrated by assembly of the models, which is galling in a starter box which is supposed to help people ease into a hobby. I look forward to being able to have a few practice games with the set. Maybe I can even convince @CaitoGalenus to give it a go in the name of game related blogging. My feeling so far though, is that while Warmachine is a good game with a cool setting, I’ve not yet been impressed enough for it to be anywhere near overtaking Firestorm Armada or Dystopian Wars and becoming my ‘main’ game for now. We shall see how I feel after a few games. New Privateer Press goings on. 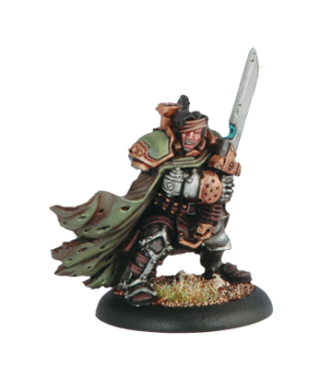 @docbungle has dug up some cool Privateer Press previews. I quite like the Rover warjack. Last night I enjoyed a demo game of Warmachine at the Oxford Gaming Club, courtesy of their resident Pressganger, Chris C. The people at the club were really friendly and kindly waived the usual attendance fee as it was my first time there. Chris took me through the basic concepts of Warmachine, focus, feats, control distance, how to roll for damage, and so on. He then umpired a demo game between myself and another novice player. I took command of a Protectorate of Menoth battle group led by Kreoss against a Mercenary force led by Magnus. I really enjoyed the game. We ran out of time before we could finish but a goodly amount of stompage was dealt by either side. I’m not sure who was in the lead, but I had wounded Magnus quite a bit, though I had also left Kreoss dangerously exposed. 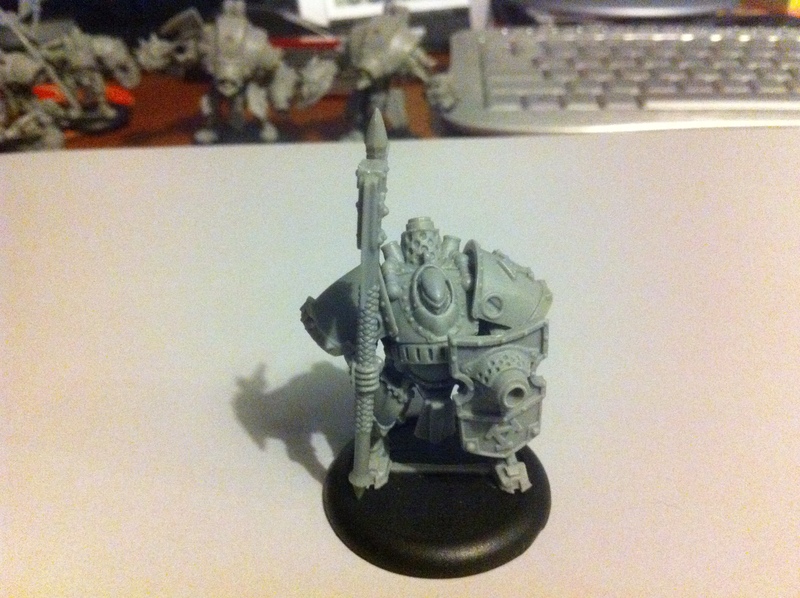 Even a newbie like me knows the golden rule of Warmachine is Do Not Get Your Warcaster Killed. Other highlights of the game included knocking down all my opponent’s jacks using my caster’s Feat, the nail biting resolution of a powerful missile attack, and the face off between Mangler and Crusader heavy warjacks. Considering there were only four models per side on the table, it was quite an involved game that really required me to think about what I was doing. I found the rules fairly intuitive, helped no doubt by having an expert there to answer all my questions, and by the end of the game I was able to play pretty independently. Though Chris kindly pointed out one or two rookie mistakes I was making. Easy to learn though the basic rules seem, it’s already clear that mastering the intricacies of using warjacks and warcasters together for maximum effect, marshalling your precious focus points and knowing when to use your caster’s feat is another matter. There also seem to be quite an array of weapon special rules. Some people might frown at the amount of ‘book keeping’ involved in tracking warjack damage, but I doubt it would be too onerous given the limited number of jacks on the field at any one time. Warmachine appeals to me for a number of reasons, I like the background and the fact it involves stompy robots, I like the fact that it’s primarily a skirmish game that allows small armies with the option of adding to your collection gradually over time (in contrast to the mass battle games produced by Mantic and GW). I’m intrigued by the way the game requires you to use your models I’m concert, most especially using the caster and jacks together. Also, some of the models are really, really cool. 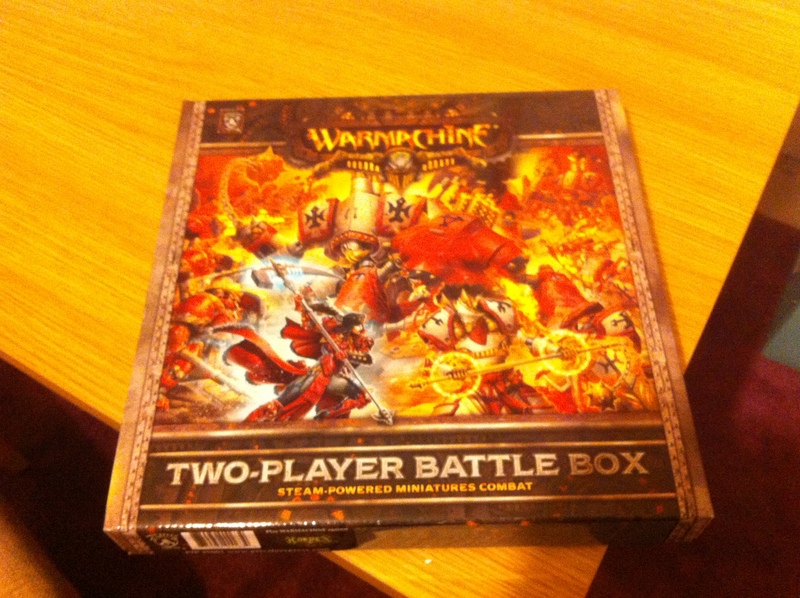 I have already pre-ordered the Warnachine two player starter box. It seems to be a really, really good value box and a good chance to get a real feel for the game without too much outlay. 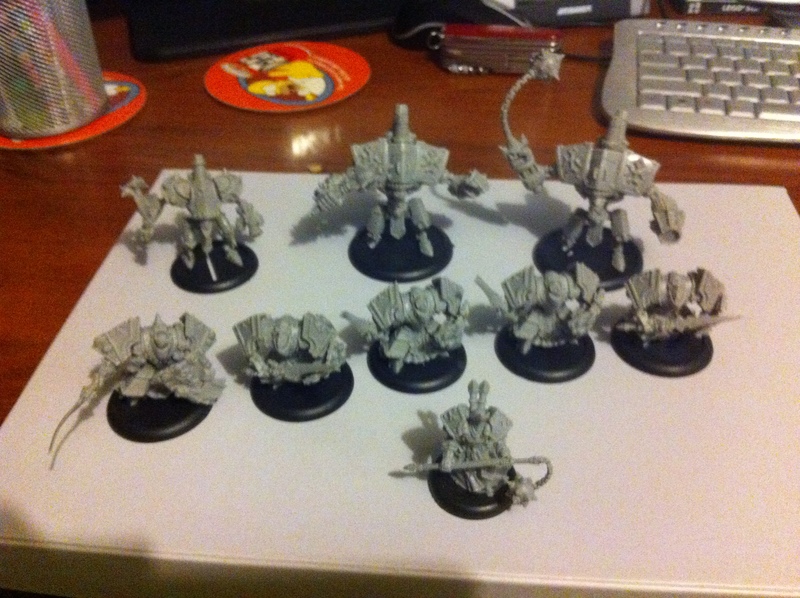 The box contains Menoth models, which I tried last night, and Khador, a faction I am quite interested in. The other faction I am most interested in, Cygnar, will probably find its way onto my Christmas list. I’m looking forward to building the new toys (and adding them to my very large backlog of unpainted models) and learning a bit more about the game and the Iron Kingdoms in my own time. Maybe I can even convince @CaitoGalenus to give it a try. My Firestorm Armada and Dystopian Wars collections are nicely rounded out now (though I will get the Aquan Dreadnought when it is released) so now is the perfect to branch out into one more game. Between Warmachine, FA, DW and finishing my Brazen Angels I will be nicely served with hobby projects for the foreseeable future. I’m hoping to write a brief review post when the starter box arrives and hopefully will be able to post some pictures of painted models on a #miniaturemonday soon. 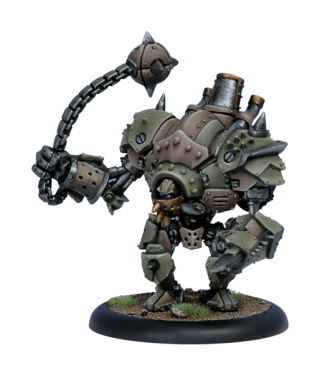 I like big stompy robots, so it was perhaps inevitable that once I started looking at the full sweep of wargaming options available to us today, that Warmachine should catch my eye. I first heard of Warmachine due to it being talked about a lot online as the game a lot of disgruntled GW customers were trying instead. Through Twitter I have discovered this is a game with a sizeable player community so it that al made it one a I made a point of checking out when I started to look around for something not dominated by Space Marines. On the scale of ‘mildly interested’ to ‘have to be physically restrained from spending my child’s future university fund on the shiny’, Warmachine ranks at ‘I definitely want to try this’. Indeed, I have already arranged to be given a demo game at the local gaming club in a couple of weeks. 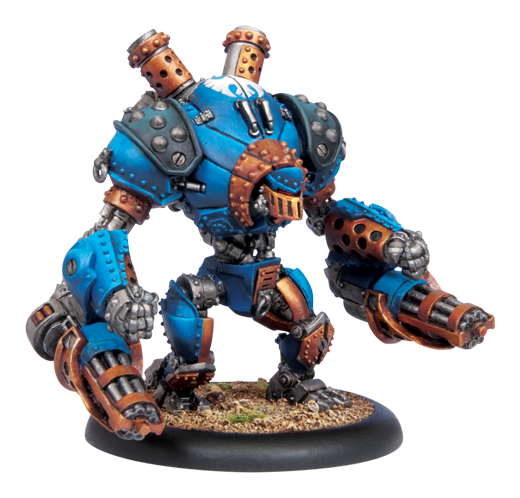 I quite like the look and feel of Warmachine, I like the inclusion of warjacks as the centrepiece of the game, making it a bit different to other wargames. I also like that it is playable using relatively small armies and operates more at a skirmish level. Having recently blogged about my frustration with having to buy quite so many toys in order to play GW games, something that you can play with a handful of models, but then have the option of collecting more at your own pace seems like a good deal. I quite like the world of the Iron Kingdoms in which Warmachine (and it’s sister game, Hordes) is set. It’s dark and violent without being over the top – and without being as unrelentingly grimdark as either Warhammer universe. Also they blend fantasy and steampunk elements into something quite interesting. And it seems to have a bit of a sense of humour to it, which always helps. I’ve also had the opportunity to read the quickstart rules available to download from the Privateer Press website, and watched a few video battle reports on You Tube. From what I’ve seen the rule seem fairly straightforward and robust and I’m interested in how the game requires using your warcaster and warjacks in concert to maximise their effectiveness. Perhaps most importantly, the models are excellent. It took me a while to appreciate some of them, being used to Games Workshop’s aesthetics, but they have grown on me and there are at least a few that really appeal to me. Initially I was attracted to the Khador faction with their heavy warjacks and the powerful ‘Man O War’ units with their steam powered armour and exotic weaponry. Now though, I’m moving towards the heavy firepower and eclectic units of the Cygnar army. Possibly with a few Mercenaries thrown in for flavour in the longer term. So, I think I’ve found something I could enjoy collecting and playing in addition to my fleets for Firestorm Armada and Dystopian Wars. I like the idea of a game with fun models and background but which I can do without having to go mad buying loads of toys. 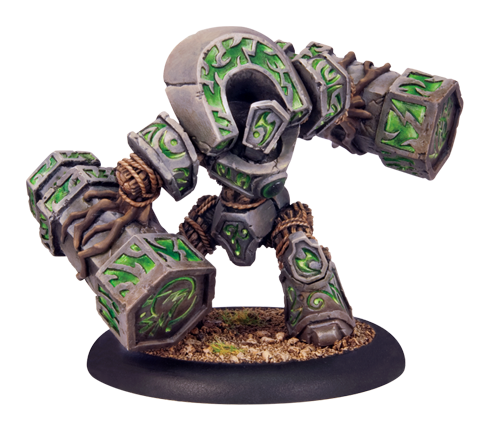 Plus as a bonus, starting Warmachine always allows the options of expanding to do Hordes as well, maybe with the Circle factions with their cool golem-like warbeasts. I will report back on my impressions after my intro game in a couple of weeks.